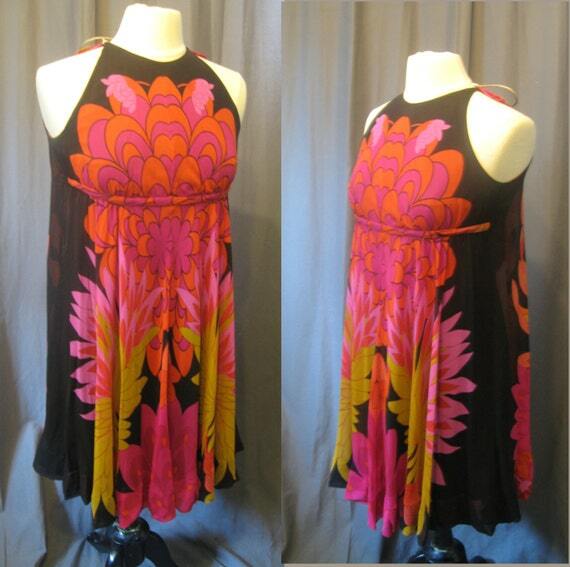 It is just simply Gorgeous....Elegant silk that flows beautifully when in motion. Silk Sheath dress in black with a Silk Chiffon Floral overlay.Hook and eye attachment around the neck and a beautiful bow in the back of the neck. The sheath dress has a tie to hug your body around the empire waist so that the overlay flows just right. Mike La Mendola and Jack Savage were working together in Rome on a movie. They were both Americans that became partners in dressmaking and opened a retail store in Rome in the 1960. They worked out of the back of a hair salon until 1967 when they opened a shop at the top of the Spanish Steps in Rome (Trinita' Del Monti, 16 ). There they had a celebrity clientele and held fashions shows. 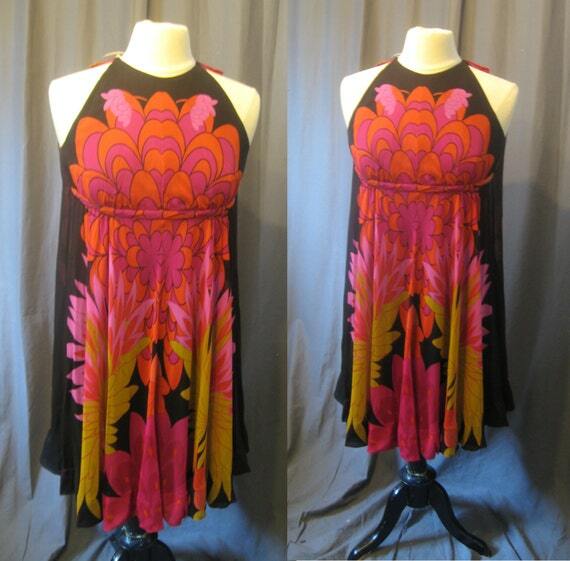 They created beautiful bright and bold Patterns that were very Italian and modern in beautiful silk. 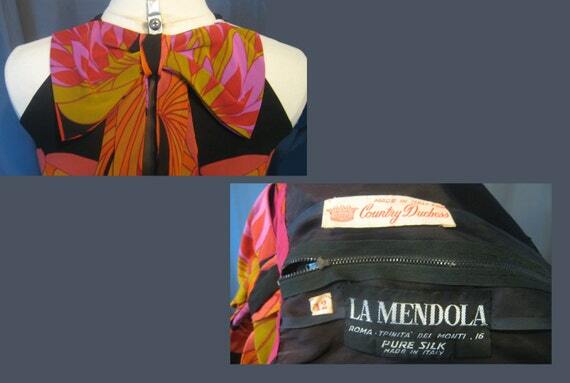 The shop has been closed for decades and La Mendola's Dress and Gowns are collectible and sought after today.